Thank you for your interest in Dr. Lawrence Martin's clinic in Scottsdale, Arizona and the psychiatric care that he provides for patients throughout the Greater Phoenix Metropolitan Area. As a psychiatrist, it is Dr. Martin's goal to provide thoughtful, competent, compassionate and thorough psychiatric evaluation and continuing care to adults with mood, anxiety, and attention disorders in a confidential and respectful environment. Dr. Martin's professional interests have always been in providing excellent clinical care and to teaching medical students and residents in training. He was twice named Teacher of the Year by Psychiatry residents at Mayo. He is Board Certified in Psychiatry and has completed Special Qualifications in Geriatric Psychiatry by the American Board of Psychiatry and Neurology. 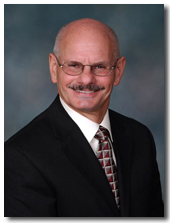 Read more about Lawrence M. Martin, M.D., P.C.